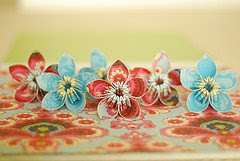 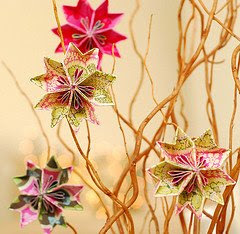 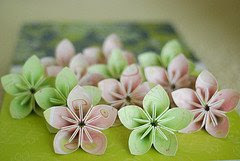 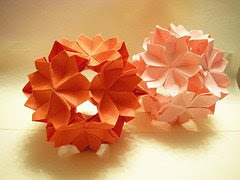 Well, I was browsing through some paper art pieces on the web & I found these. 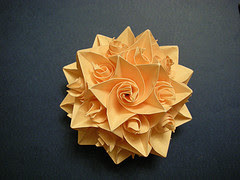 Its Japanese Origami. 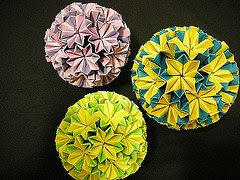 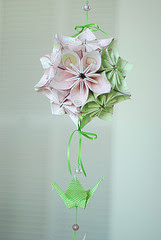 I think its called Kusudama.